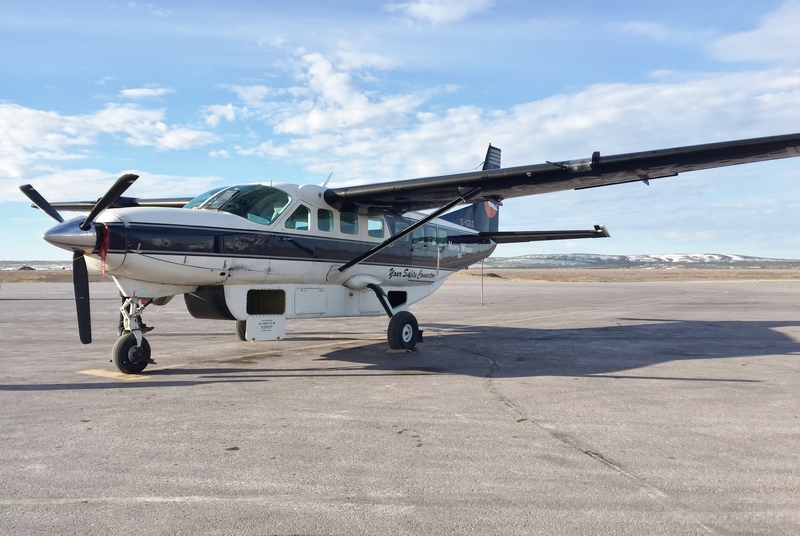 This Cessna 208B Grand Caravan operated by North Wright Airways, flew the DLN research team from Inuvik to Aklavik, where they demonstrated the digital library. North Wright Airways is a family owned, regional connector serving Inuvik, Aklavik, Fort Good Hope, Colville Lake, Norman Wells, Tulita, Deline and Yellowknife. The 2017, the company has 21 aircraft. Side of plane reads "Your Sahtu Connector".